Anyway, things are changing (albeit slowly). 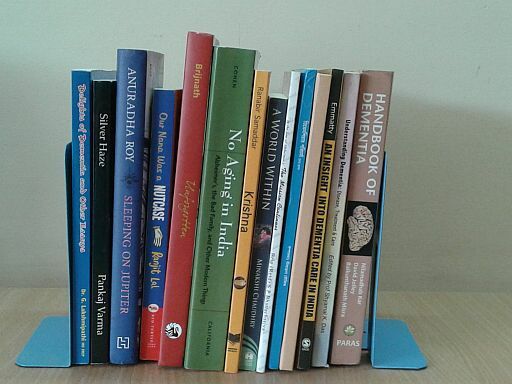 So around a couple of months ago I began collecting books written in an Indian context, published in India, and which are about dementia or at least prominently include it. I had some of these books already; I bought the rest. Here’s the set I gathered and have commented on below. For this post, I am considering these books only in terms of whether they could be useful/ interesting to persons in India who are concerned about dementia and related care. These could be persons in families living with dementia. Or they could be students, volunteers, professionals, etc., who want to know more and understand more about dementia and about care realities and the culture around dementia etc. Other books, such as fiction, humor, etc. Most of these books are available at stores like Amazon.in and Flipkart.com; search using the book name. For books that have to be ordered directly or are difficult to search for, I have included links to direct sites. The comments below are, of course, just my personal opinion. The book is an excellent reference text covering a whole range of topics around dementia-causing diseases, behavior changes, person-centric care, etc. It is a thick book (438 pages) but that is reasonable for its coverage. The book is a collection of chapters by different authors. While writing style varies across chapters, a lay person can definitely get a lot of benefit out of the book. In my opinion, this book is extremely useful for volunteers, students, and professionals. It is also very useful for caregivers and has many chapters that are directly useful to them. For example, in addition to discussing dementia features and medication, the book covers a range of care topics like handling behaviors, occupational therapy, legal issues, caregiver well-being, etc. Also, the book can be used as an authoritative reference to show to persons who refuse to believe there is such a thing as dementia. 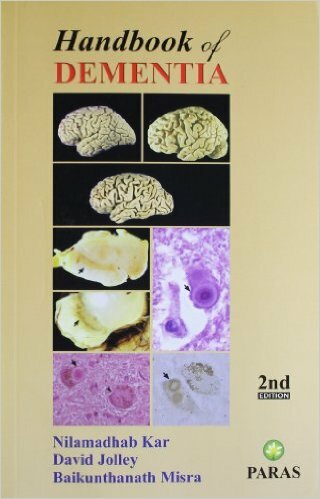 Understanding Dementia: Disease, Treatment & Care (ed. Prof Shyamal Kumar Das). This relatively slim 2009 book has chapters by different authors. It gives the reader a useful overview of various types of dementia, the diagnosis process, changed behavior, etc. It covers dementia well, and explains the symptoms in ways that are easy to relate to. The text is very readable. It also has many relevant illustrations. Coverage on how to care is low, however, and will need supplementing with other material. The book can be useful to students and to doctors from other specialties. Its friendly, explaining approach makes it suitable even for laypersons. It may be particularly helpful to families trying to understand the problems of dementia and the challenges the person may be facing. Its illustrations and simple language make it suitable as a authentic medical book that families can use to convince persons who refuse to believe the diagnosis. The book is available through the ARDSI Kolkata chapter.See their site. An Insight into Dementia Care in India (Leena Mary Emmaty) provides information on dementia and care in India. It is written by a social worker. Alas, the book I have is from 2009 and I have not seen a later edition. The book gives a useful overview of dementia and care. It is based on original research and gets dense at places. It often quotes terminology and studies that may not be relevant for caregivers looking for information and practical advice. Students of social work, nursing, gerontology, psychology, etc. can consider this book as a reference. 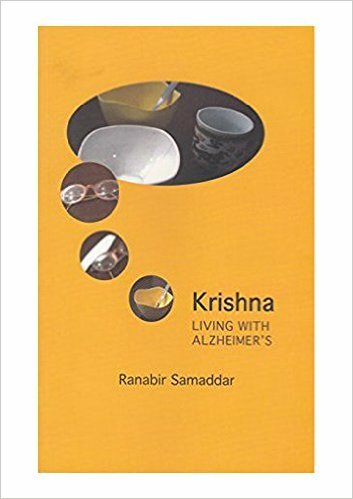 Caregivers may also find it worth checking out, especially because there are very few India-specific dementia books in print. Caregivers will have to extract useful concepts and tips from text that is sprinkled with technical terms and mentions of research papers. The sections on resources in India are (naturally) quite outdated. 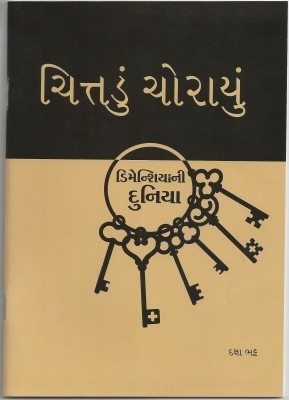 A Gujarati book for dementia and care is available from Flipkart, titled “Chitadu Chorayu – Dementia Ni Duniya ચિત્તડું ચોરાયું ( ડિમેન્શીયાની દુનિયા) (Daksha Bhat)“. It briefly covers dementia and its symptoms and types, diagnosis, medication overview, impact of dementia, caregiving, caregiver stress, daily routine, challenges, etc., and has some explanatory figures. (disclosure: the book includes a link to my site in its references). This is a small book with a modestly priced paperback that can help Gujarati-reading families get introduced and aligned to dementia and care. The book is available on Flipkart and also from this page. 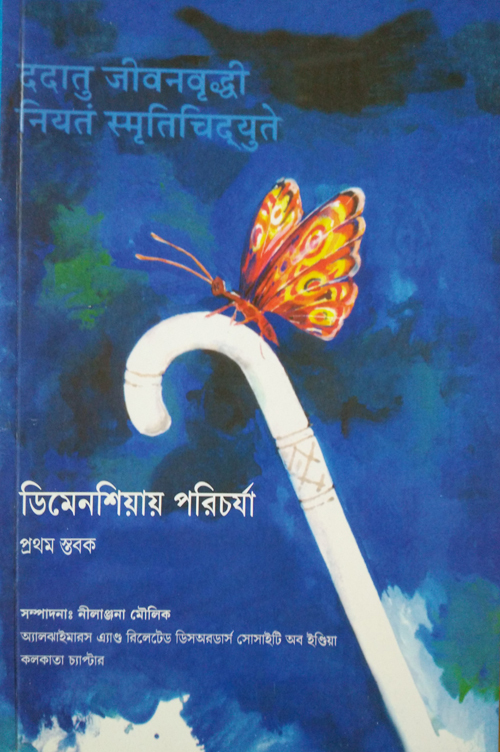 A Bengali book is available from ARDSI Kolkata, “Dementia Paricharyya ডিমেনশিয়ায় পরিচর্যা (Ed. Nilanjana Maulik)“. This book is for caregivers supporting their loved ones with dementia in a day to day situation. It highlights the strategies caregivers can use for their routine tasks. Topics covered include description of dementia, Alzheimer’s Disease, comparison of dementia with aging, how to interact with someone who has dementia, explanations and tips for several topics like communication, bathing and cleaning, various daily activities, healthy living, and also problems like depression, hallucinations and delusions. The book coverage is useful and impressive. Unfortunately, the book does not have any pictures or illustrations. This is a a slender, modestly priced volume, and could be very useful for Bengali readers who want to learn about dementia, its impact, and care. It is available from ARDSI Kolkata. See their site. I found three books in this category, all containing accounts of personal experience of care. All of them also include some philosophizing and analysis, a natural mechanism caregivers use to cope with the drastic dementia changes. All three books provide interesting insights into what families may experience. Keep in mind, though, that each family experiences dementia in its own unique way. They interpret and analyze the situation differently, too. So when reading such caregiver-sharing books, readers have to remember that their experience and their perspective may turn out to be quite different. 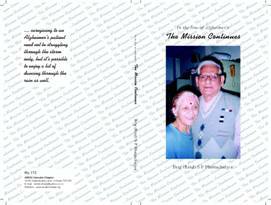 In the line of Alzheimer’s: The Mission Continues (Brig (Retd.) S P Bhattacharjya): This is the first person account by Brig Bhattacharjya, who at the age of 84 was still looking after his wife Sukla who was then 72 years old. The narrative is remarkably detailed and covers many incidents from the pre-diagnosis stage. The book covers around fifteen years of Sukla’s decline, sharing incidents, mistakes, things that worked and that did not. These include symptoms which the family missed then and only later realized may have been because of initial dementia. While sharing the anecdotes, Brig Bhattacharjya places them in the context in which they happened, shares them with honesty, and also often includes his own analysis. The book is detailed but flows smoothly and is an easy read. Professionals and volunteers will find this book very useful to understand realities that families face. Caregivers can obtain an idea of the type of problems some families face at various stages of dementia, and the types of mistakes made. The book is published by ARDSI Kolkata. See their site. The book has several chapters detailed his experiences. The late-stage care chapters, especially, are extremely valuable in our Indian context where late-stage dementia is handled at home and often requires multiple interactions with health care professionals and hospitals. I have heard of similar experiences from many families, but tired, bereaved, frustrated caregivers rarely talk about them openly, and almost never to the media, so this important problem remains under wraps. Volunteers and professionals who are concerned about supporting dementia families may not even be aware of these. The book also contains several chapters about the earlier years of dementia, both the personal side and the social side. Perspectives about “quality of life” have been discussed in a very interesting way. The book is heavy reading in parts, especially when medical data is discussed. But caregivers looking after persons in earlier stages can skip the late-stage dementia part in their first read and return to these parts later. This book is a must for professionals and volunteers who need to understand problems that families face in the health care system. These are the persons who can help change the system. The book is also important for caregivers, who can get a perspective of how dementia impacts persons, and also a cautionary tale about dealing with medical aspects. Of course, not every family faces the same situation, whether on the personal front, social front, or medical support front–but this book can help people think about situations and how they may handle them if they arise. A World Within: a remarkable story of coping with a parent’s dementia (Minakshi Chaudhry) This is written by a daughter, and describes her father’s decline. The book is full of well-narrated, touching anecdotes that show various sides of the father–in some he remembers and talks about the past, in some he shows mild confusion, in some where he deteriorates further. The incidents are told with honesty and loving detail and touch the heart. The writing style is intensely personal, and anecdotes are enriched with personal musings, regrets, and insight. The love shines through alongside the glimpses of the growing problems. Again, a worthwhile read for everyone who wants to know what a family living with dementia may experience. Of course, every family has its own journey through dementia, but this is a valuable insight into one such Indian family. 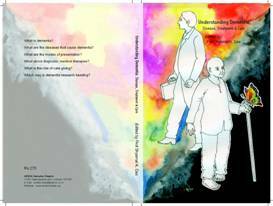 These are books that discuss how dementia has been handled through the ages in India, what the status of support in India is, and how families cope with dementia even today. I found two books in this group. 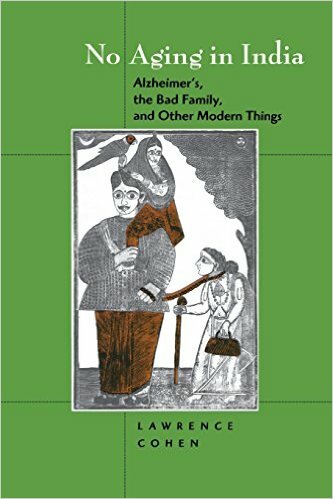 No Aging in India: Alzheimer’s, the Bad Family, and Other Modern Things (Lawrence Cohen) is a book whose paperback was first published in 1999 and with a copyright of 1998 with the University of California. As such this book did not fit my self-imposed search criteria of looking for books published in India that may be of use of caregivers. But it is one of the best books I have read. It is a book that anyone serious about the ethnography of dementia would love to read. The book is an interesting cultural analysis of aging in India. It is also very dense and a heavy read. Lawrence Cohen is a medical anthropologist who is concerned about how people “comprehend the body and its behavior in time” and the book is a detailed account of his observations and study. A must for someone serious about understanding dementia in India through the ages–anthropology or ethnography students, for example–but be warned, this is a book that needs patience, time and attention. It is not aimed at caregivers. 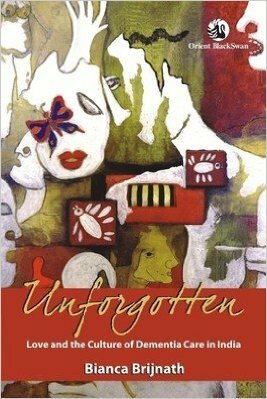 Unforgotten: Love and the Culture of Dementia Care in India (Bianca Brijnath) is another ethnographic study, this time of middle-class families in urban India. It describes how these families care for persons with dementia. Set in 2014, and focused on the urban middle-class, the book may be easier to relate to by many caregivers who read this blog. It is dense, though, and full of references. Readers need to be attentive. The book is probably best for students and researchers. Do not expect a swift or breezy read; be ready for a meandering, rich read instead. Again, a must for someone serious about understanding dementia in India. If you are a caregiver, well, this book gives several insightful and interesting caregiver stories, but it can be a heavy read. These are some books that integrate dementia into fiction plots, essays, etc. Some felt authentic, some misleading, and some disrespectful. 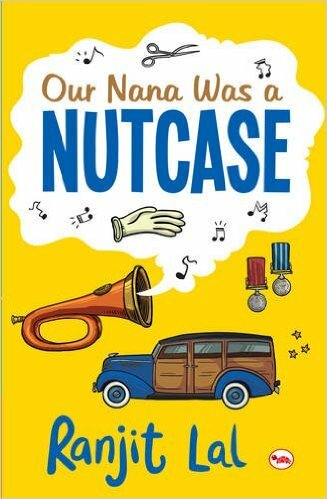 Our Nana was a Nutcase (Ranjit Lal): This is, I think, intended to be a children’s book but I enjoyed it. In spite of its apparently odd title, the book is a delightful, sensitive, and extremely love-filled portrayal of an eccentric grandfather who starts showing symptoms of dementia. Excellent writing. It offers an impressive portrayal of early changes in dementia and how the family realizes something is awry. How the grandkids and others puzzle a bit, and then not just accept him but work hard to make sure he stays at home with them, loved as always. All the characters are portrayed well enough to seem real. For example, the grandfather is vivid as a person, and the grandchildren are fun-loving and affectionate, sometimes mischievous, sometimes disobedient, sometimes considerate. This book is a great example of fiction that seamlessly includes persons with dementia and has characterizations that are entertaining and informative, yet without any preachiness at all. All through the book, the grandfather is a person and never reduced to being merely a patient. He is someone who is loved and very much remains part of everyone’s life. Some other books I checked out are listed below. While they are all related to dementia in some way, I do not find their coverage of dementia suitable for informed awareness and improved sensitizing. Sleeping with Jupiter (Anuradha Roy): This is literary fiction, full of complex nuances. It has an overall theme of loss and searching for the past. The book does this through the stories and experiences of many characters. One such character is an elderly lady with increasing disorientation and forgetfulness. While it portraying the lady’s experience nicely, her behavior is not seen as a possible medical problem by others around her. The symptoms are not noticed as being different enough from aging. Dementia is not mentioned at all, though some reviewers have assumed it (that is how I was given the book’s reference). It is unclear whether the author was depicting her perspective of varying ways people age, or whether she wanted to depict early dementia. The book is good as literary fiction, but it is not a story that can be used to understand or develop sensitivity towards dementia. Silver Haze (Pankaj Varma). This is related using the first-person voice of the person with dementia–the mother. The author has modeled the story based on his mother, who had dementia. He tries to imagine what she may be thinking and also describes what he thinks her past was like. The bulk of the book, in fact, is supposed to be what the mother (fictional mother) wrote after knowing about her diagnosis. This narration is smooth and rich with detail, and even includes self-awareness about her dementia. The impression the book gives is that this lady with dementia is very coherent and has excellent recall. It is as if her dementia does not affect her ability to write a complete, coherent, detailed life story (the sort of activity that would typically take months or years). While I am not saying that this can never happen, this would be very unusual. Such a problem-free long-term project of self-expression seems unlikely for someone with dementia. It does not seem consistent with most descriptions written by persons who have dementia (their blogs, books, videos). Also, I and the caregivers have all seen our loved ones with dementia struggle with words and concepts, have huge gaps in memories, and make many mistakes in recall. So this book’s narrative voice didn’t work for me. More important, it could make readers think this is typical. They may therefore underestimate the problems and cognitive decline that persons with dementia face, and have unrealistic expectations or put undue pressure on the persons. Read this book as fiction if you want; if you want to know the experiences of persons with dementia, read their blogs and books and see their videos. Delights of Dementia and other essays (Dr. G Lakshmipathi). This has a set of allegedly humorous essays on many medical conditions, including dementia (the essay that lends the book its title). I found the book’s humor unsuitable for stressed caregivers and even others. The book’s language around dementia is stigmatizing. Descriptions (fictionalized) of confusions and delusions caused by dementia are described as if they are a source of entertainment that a doctor can use for some sort of comic relief. I am extremely uncomfortable with the thought that someone with dementia or someone supporting them may read this book; they may feel mocked or isolated or may hesitate to contact doctors if they think all doctors think like this. My detailed book review is on amazon.in (a one-star review). Adventures in Hindi Part 4: In the end is the beginning, or, more observations, a summing up and a way forward. So, having made three meandering posts, I am determined today to wrap up my ideas and learning in this fourth and last post of the series. I embarked on this adventure prompted by the lack of Hindi material on dementia. It is now my impression that other than the most desperate, no one expects helpful material to be available online, and no one other than the desperate look for it. And even the desperate may not check on the Internet because they don’t know Hindi material can be found there, or are clueless about how to find it. But here is another way to think of it: If there were material in a format attractive to Hindi speakers/ readers, and if such material was visible to an audience grappling with problems related to dementia care in their family, such material would help. The audience I refer to is persons who speak Hindi and consider it a language they know and are comfortable with, and who are not as comfortable with English. Such an audience will also be unfamiliar with concepts discussed in English but not usually discussed in Hindi. Which means, the wriggle-out space to avoid work on Hindi reduces. There is some Hindi material related to dementia already present on the web. Many are news articles thanks, in part, to Suresh Kalmadi, single-page news items or some comments/ blogs on them (sarcastic ones). The news items that I’ve chanced upon do not explain dementia (other than calling it a memory problem), nor do they explain the relationship between dementia and Alzheimer’s. Some experts are quoted, often using out-of-context snippets and distorted statements. Dementia symptoms are not identified, and there’s contradictory stuff on whether dementia can be prevented or not, treated or not, cured or not. I’ve not blogged for a while, mainly as I decided to put in a burst of work on my site, based on the surveys I did earlier. The March survey had shown trained attendants as a major concern area, and I tackled this first, gathering information from multiple sources. I was looking for areas of concern, which I collated across meetings with caregivers, questions asked in support groups, even an e-group that I co-facilitated, in addition to a survey I conducted for getting more input (as mentioned in my last blog entry). One upshoot of all that energy is that the Dementia Care Notes website now includes a detailed page on what to expect from attendants in dementia home care, how to adjust to them, how to orient them, and supervise them, and ensure safety and security, etc. The page is here: Using Trained Attendants for Dementia Home Care The page also links to a document that can be used as a starting point while orienting an attendant for your patient’s needs. The document is downloadable at this link: Orienting attendants for dementia home care (PDF file). As I worked on these pages, I found myself coming up with a lot of ideas that merited blog entries. My experiences, my interactions with other caregivers, my realizations (during social gatherings and even medical trips) of how people outside my immediate circles seem as unaware of dementia now as they were three years ago. My comments on movies that depict dementia. Other stuff like that. I’ve jotted them down. I am hoping to make more frequent blog entries now, maybe even once a week, but I’m a bit wary of committing to that. Because time and energy are limited, because there is so much that can be done, because I need to prioritize (or risk going crazy), I decided to use a simple, single question survey to gather data from dementia caregivers in India/ people involved with them. I put up the survey in the second week of February. I am grateful to every caregiver/ friend of care giver who took time to share their thoughts or forward the link/ e-mail to someone else who may have been interested. In this post I am analysing the first batch of responses received: the 17 responses I received up to March 14, 2011. First, about the questionnaire (given below). My simple, single question survey collected no personal data, but also did not allow a person to respond twice. Respondents could choose as many options as they wanted. I expected them to tick any options they considered helpful, and if someone ticked all options, it would be because that person genuinely felt all the choices offered were helpful. The analysis below is of the 17 responses received up to March 14, 2011. These responses had trickled one at a time, and apparently came from a scattered profile of individuals who had somehow heard of the survey. I started this analysis when responses tapered down. Then, after doing this analysis, when I checked to see whether a couple more responses had trickled in, I was surprised to see that there had been a spurt of responses on March 15 and 16. I’m doing this post to capture the insights so far, and if any additional responses I get later provide any additional insight, I will add another post later. So far, for this first batch of 17 responses, the counts fell in two clear categories. And more information available in public which helps you understand that dementia is an illness not something that you need to hide away! Professionally Trained Nurses who do not take the other inmates of the house for a ride. So, folks, that is the raw data: interpret it as you will. Below is my impression. I’ve been busy, not enough time to write a detailed post on a few topics I want to, but then I saw this set of video streams, and it was worth writing about: HBO’s Alzheimer Project. If you want to see what dementia means to the patient, and to caregivers, this is an absolute must. The project includes a set of videos (which will be available for sale later), and guides that go along, and supplementary material. There is also a lot of data that makes the impact really sink in. Did you know, for example, that 54% of the people in America have been touched by Alzheimer’s, as patients, relatives, friends, whatever. The national impact of Alzheimer’s (for USA) is discussed. One of the dementia patients interviewed has been using a blog to record his thoughts as he progresses through the disease (see: Joe Potocny’s blog ). He also twitters. It was while going through these video streams and other material that I realized how different it is in India, where diagnosis usually happens (if at all) in middle to late stages. I, for one, have not met a patient diagnosed at a very early stage, who understands he/ she has dementia but is still almost fully alert/ functional, and is therefore planning for and dreading the future. I have not seen a family where the patient explains to his/ her grandchildren what will happen to him/ her because of the disease in a few years. I do not know patients who have grasped the impact of the disease in time to say their farewells the way they may want to. If ever I get dementia, I would like to know in time to enter the state with grace and after having said my farewells and given my hugs to all I care for, after neatly setting aside my life as memory forces me to. Even if the disease is non-treatable, surely there can be dignity in the way one embarks on this downward slide, dignity while it lasts.